AddressThe address for this sale in Edina, MN 55439 will no longer be shown since it has already ended. Numbers will be given out at 8am. Day 3 is half price day. 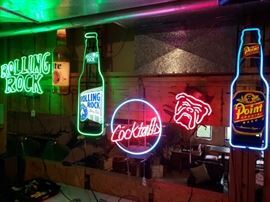 Beer signs: neon, pool table, all different kinds of beer. 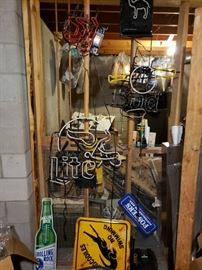 Signs: Vikings neon, fun caution, cigarette, more beer. 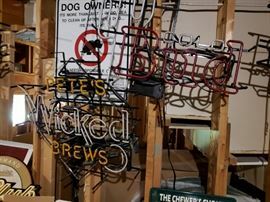 Beer clocks, signs, crates, more. 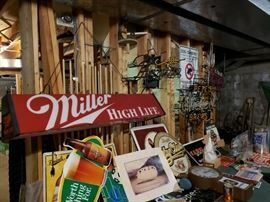 Coca-Cola, beer, cigarette advertising, another pool table light, Sinclair sign, more. 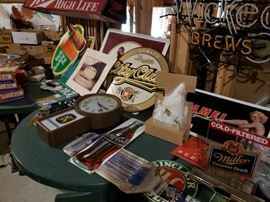 Advertising signs, tins, posters, more. 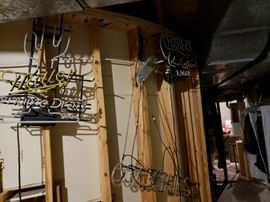 All these signs will be organized and displayed much better as we begin staging. 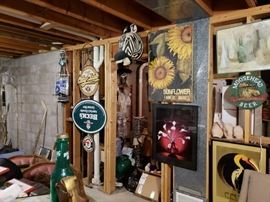 Artwork, sporting goods, and a whole room full of lamps. 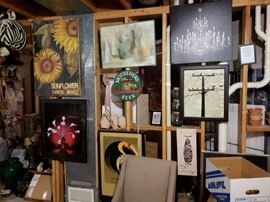 Art on canvas, framed prints (Erte), more beer signs. 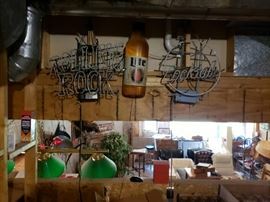 Former bar owners have huge collection of restaurant grade dishes and cookware. 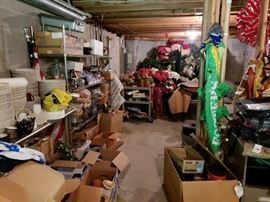 Pictured in back is Christmas decorations and area rugs. 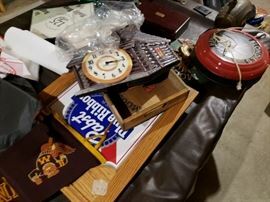 Bar gambling wheel, file cabinets, clothing with advertising on them. Antique tables, upholstered chairs, wall mounts of fish and moose, more. Galvanized wash tubs, beer buckets, misc. Former bar owners -- restaurant grade cooking appliances. Antique tea pot. Restaurant grade plates, cups, other serving pieces. Table umbrellas with beer advertising. Map of Twin Cities Hot Spots. Antique wooden bench with cushion top -- so adorable! Entire box full of brand new Leinenkugel's plastic beer cups. 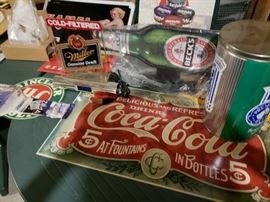 Bar glassware, S&P shakers, more. Bicycles, fishing gear, rollerskates, weights. Another shot of the very old tools. The Polish Countess beer can. Cigar boxes on top of a butcher block cart on castors. Mini Pool Table in box. Everlast punching bag, boxing gloves, hand dumbbells. Antique parlour table with clawfoot legs. Native American art; whimsical 3D art. Napa Valley Box Company wooden box with hinged opening. Framed art - fruit bowls. Dove tailing on antique desk. Antique octagonal parlour table with red paint (original? ).